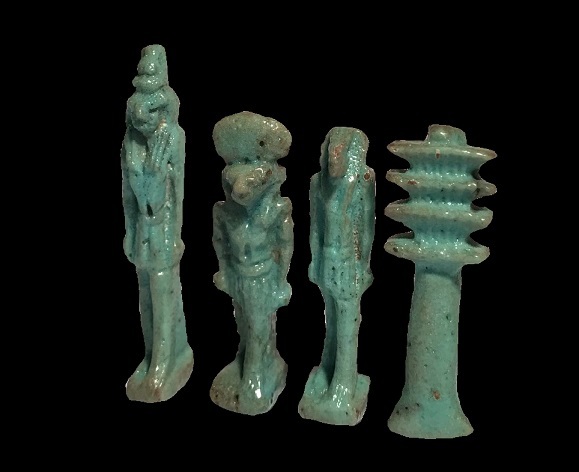 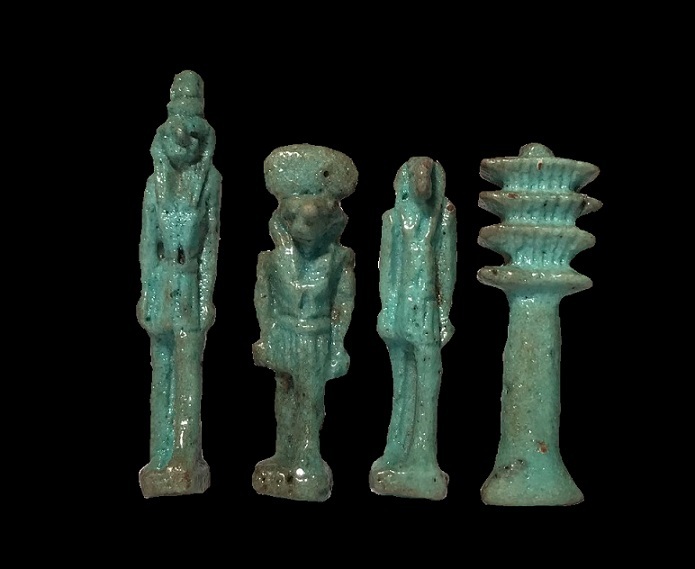 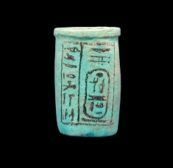 Description: Group of four Egyptian blue-green faience amulets, all on integral bases. 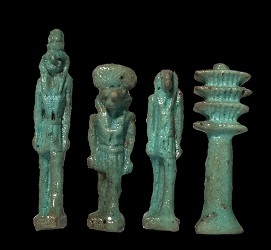 Three amulets are individual standing figures of the Egyptian Deities Monthu (wearing the double plumes), Annubis (with solar disk), and Thoth, along with a fourth Amulet in the shape of a Djed pillar. 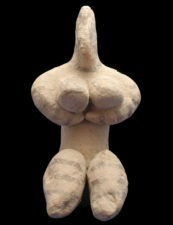 Condition: Intact with attractive color and detail. 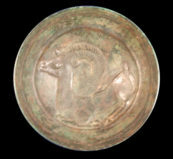 Provenance: Formerly in a British collection.